Green, white and red! 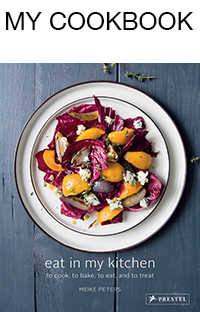 Many of my summer dishes sing praise to the Italian flag, without any intention, but maybe my subconscious has something to do with it as I love this country so much. I was so shocked and sad for this football loving nation when they had to leave the World Cup this week (and one of their players got bitten!). I know they love this sport almost as much as their food (which means a lot! 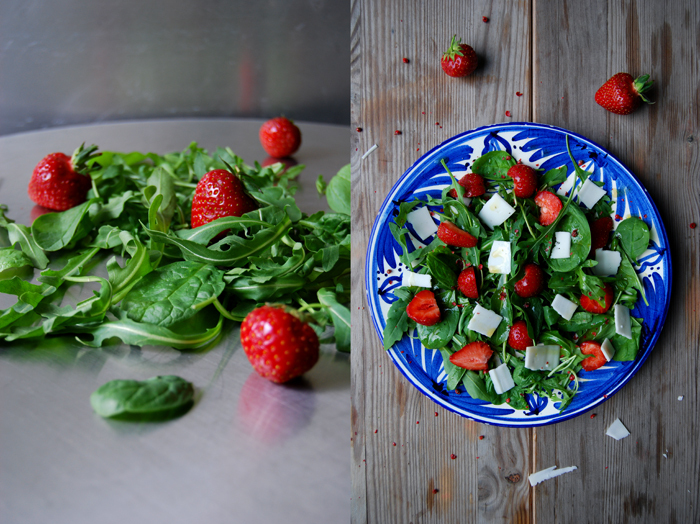 ), so here’s a patriotic salad to lift up their spirits! 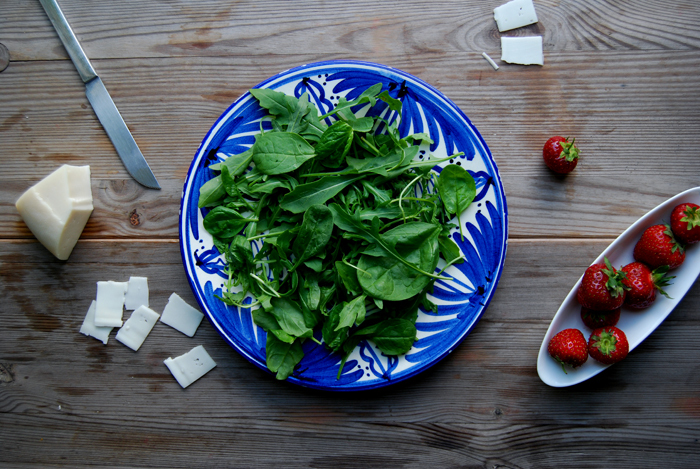 Crunchy baby spinach, rucola (rocket salad) mixed with a light olive oil, orange and Balsamico dressing, topped with sweet strawberries, thin slices of young goat gouda and pink peppercorns. The mild Dutch cheese, the berries and aromatic pepper work perfectly on their own as well, cheese, fruit and a little spiciness, a scrumptious little nibble I can never reject! 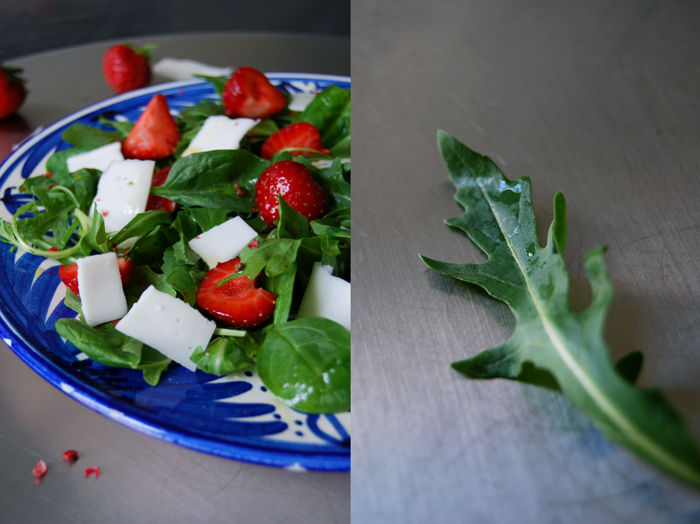 For this salad for 2 I threw together a handful of baby spinach leaves and a small handful of rucola. My fruity dressing is the same one I used for my spinach and melon salad, I whisked 5 teaspoons of olive oil with 3 teaspoons of orange juice, 2 teaspoons of Balsamico vinegar and seasoned it with a little salt and black pepper. 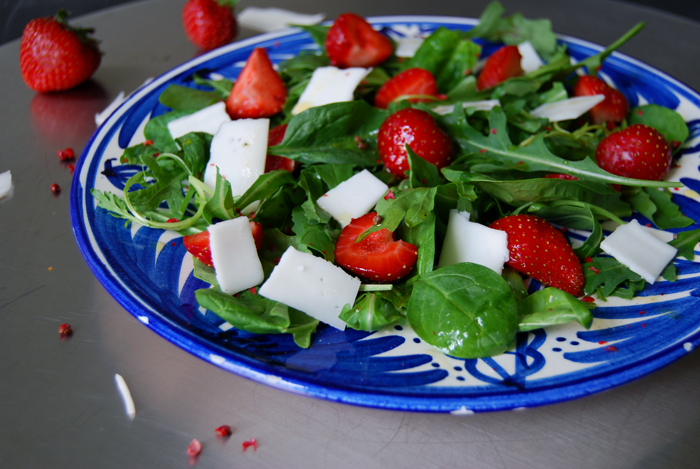 12 strawberries cut in half and 6 slices of goat gouda (or another mild hard goat cheese) torn in pieces sprinkled on top together with a teaspoon of crushed pink peppercorns finished it off.